I have had the privilege of being able to help change the lives of several men this month! I am very open and engaging about my Christian faith and it’s not too hard for the men here to figure that out. I ask if I can pray with them often and always invite prayer anytime they feel the need.One of my GTD brothers that I have come to know very well asked me to please pray with him for his sister who had just found her husband dead from an overdose. I have never met her, but I could see that he was hurting and needed to ask God to intervene. We stepped aside and prayed right there in the hallway, and he was very thankful that I took the time to care.The most amazing part of working here are the conversations I get to have while building levels of trust. I took some time over the last couple of days talking with a few of the men and the Holy Spirit moved on our conversations as I shared with them, and they all decided to change their lives eternally by accepting Jesus Christ as their Lord and Savior! This Sunday at my church will be quite special as all three are going to be baptized into the Kingdom! Praise the Lord! Hallelujah! This is by far the greatest reward I get to experience this side of heaven! 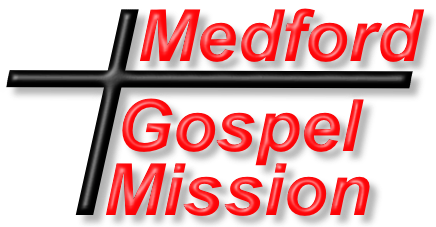 Working at the Medford Gospel Mission is truly a ministry opportunity and I look forward to each and every shift because lives are being changed daily! Program Manager & very grateful recovering alcoholic and addict. 4 months ago Thank You for an amazing 2018! 4 months ago A year of restoration!